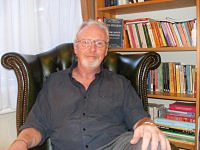 My name is Andrew Culliss I am an experienced psychotherapist who can potentially help you. I offer counselling and/or psychotherapy and have a practice in St Leonards on Sea. I can offer professional assistance for a wide range of difficulties. I have over 30 years experience of working with people from all walks of life and from a number of different cultures who are finding the struggles and challenges that life is presenting overwhelming. Home | What Is Psychotherapy? | What Will It Cost?